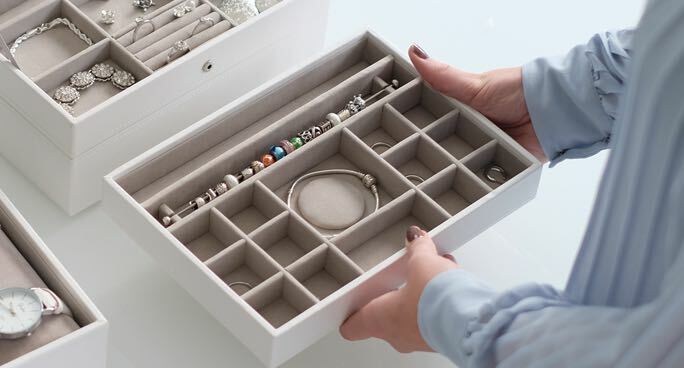 Today is the launch of our newest addition to the charm family, a charm tray that fits perfectly on the classic stacker! 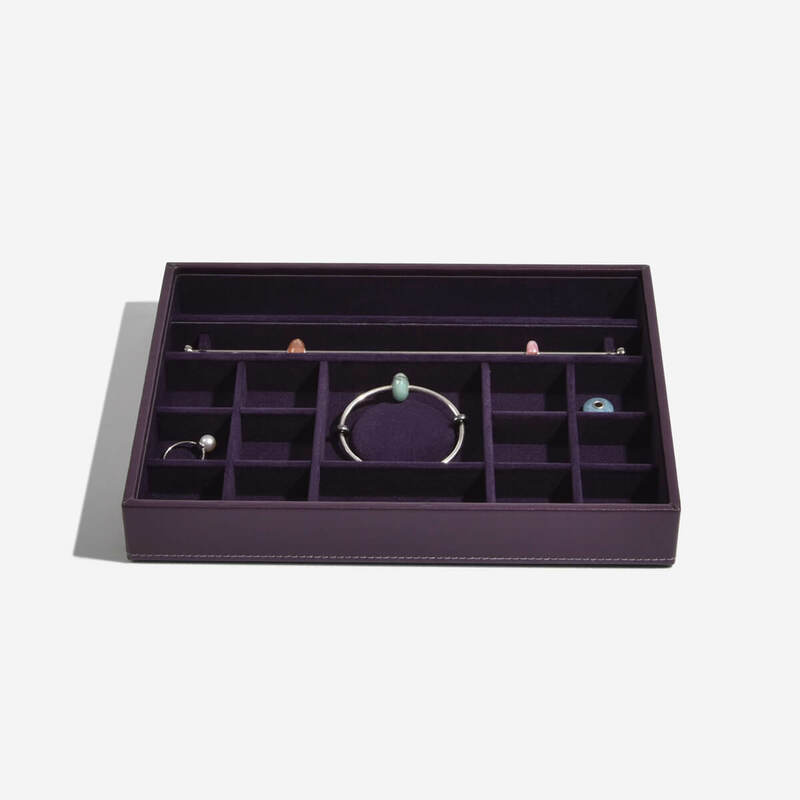 Our charm stackers come in 8 beautiful colours to match our classic stackers. 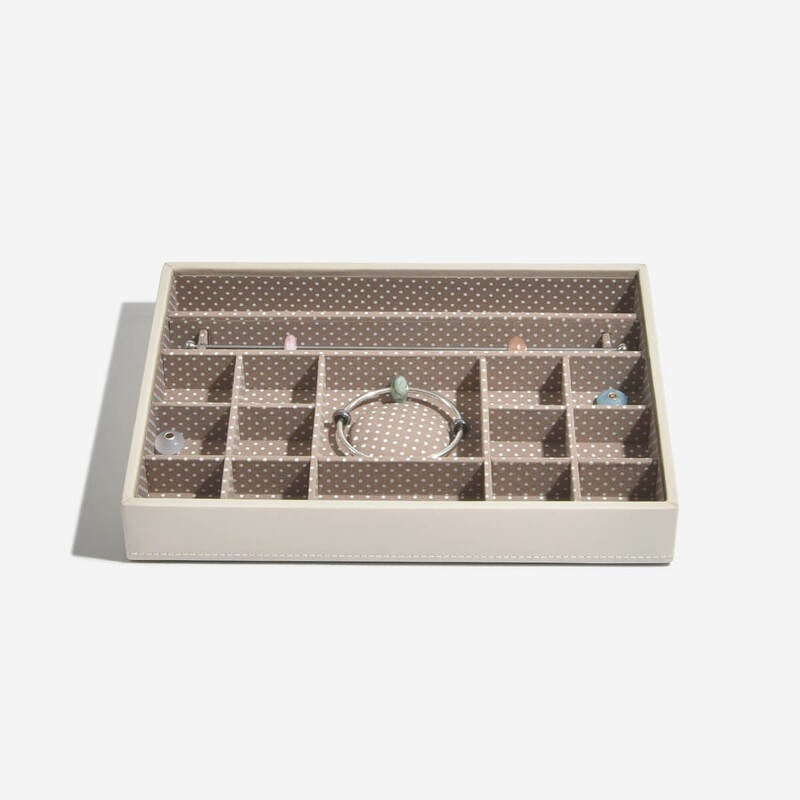 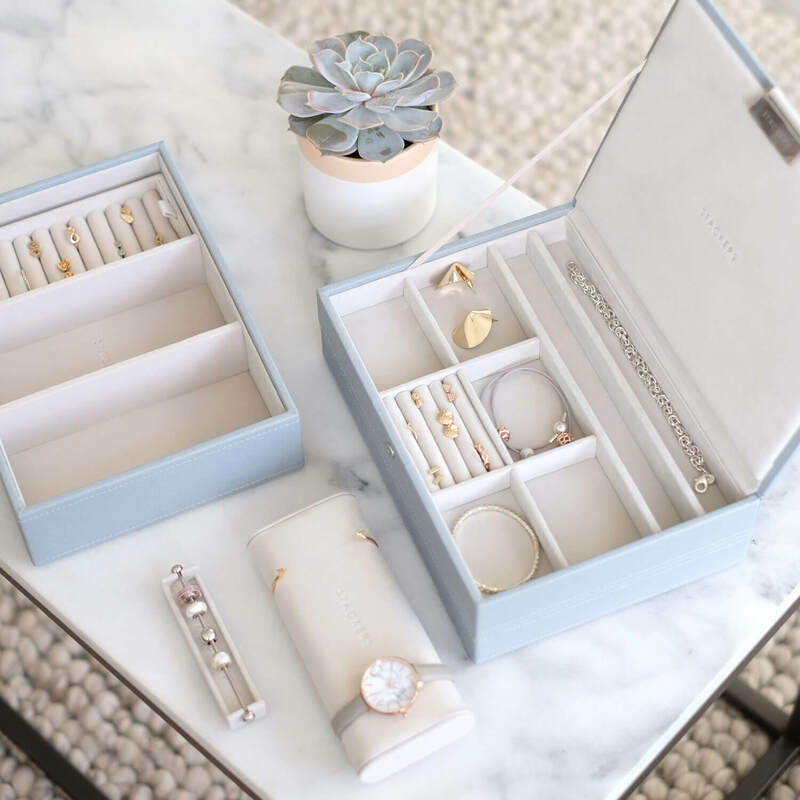 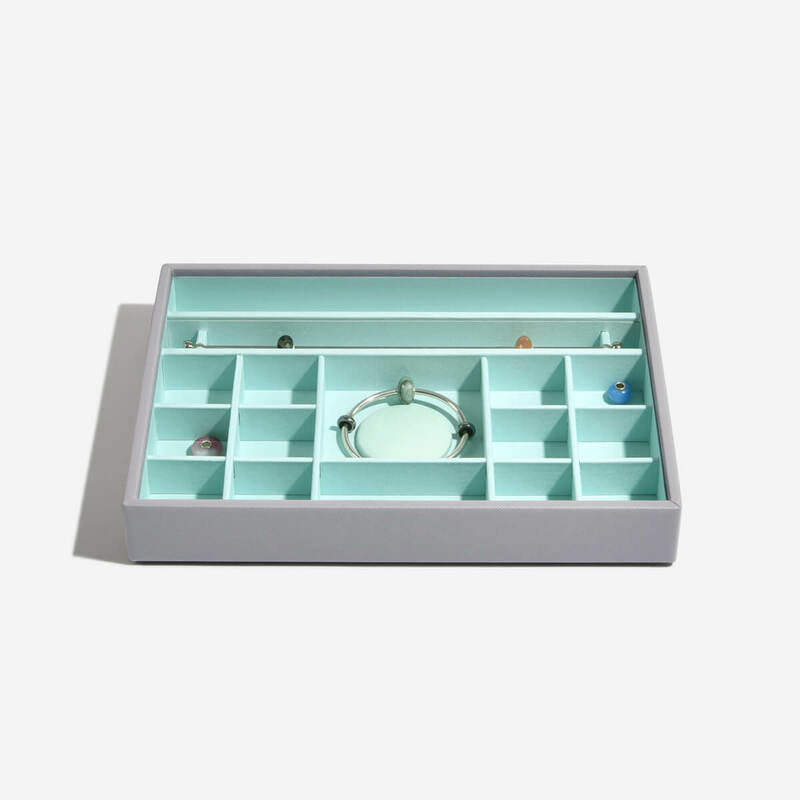 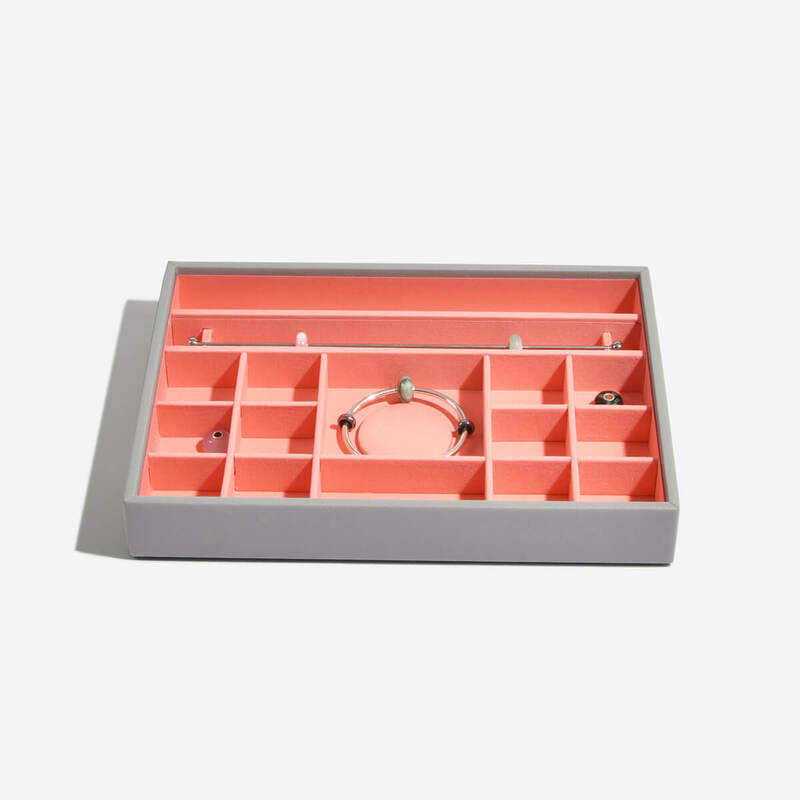 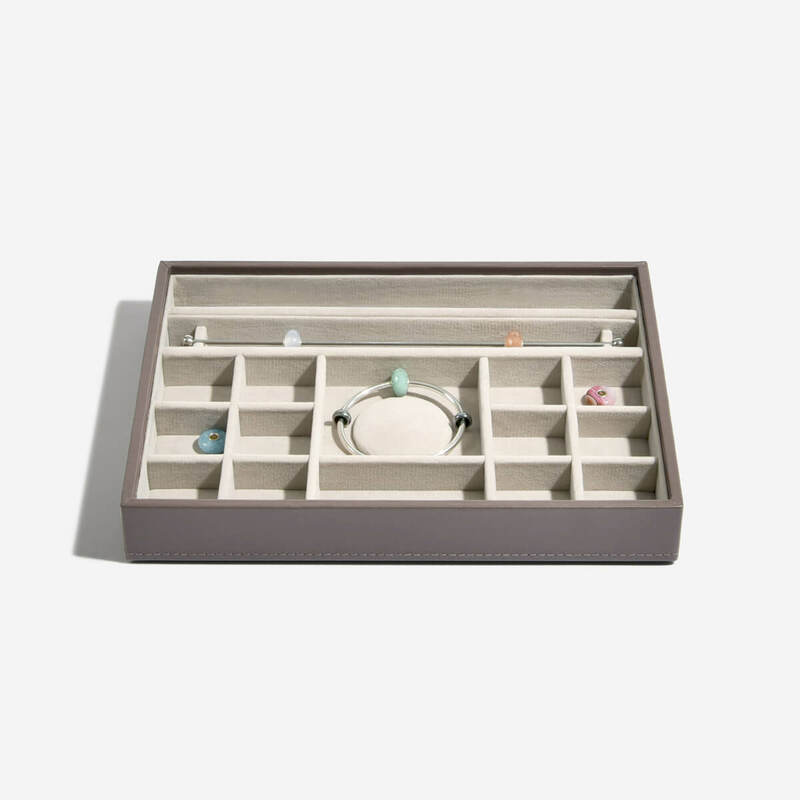 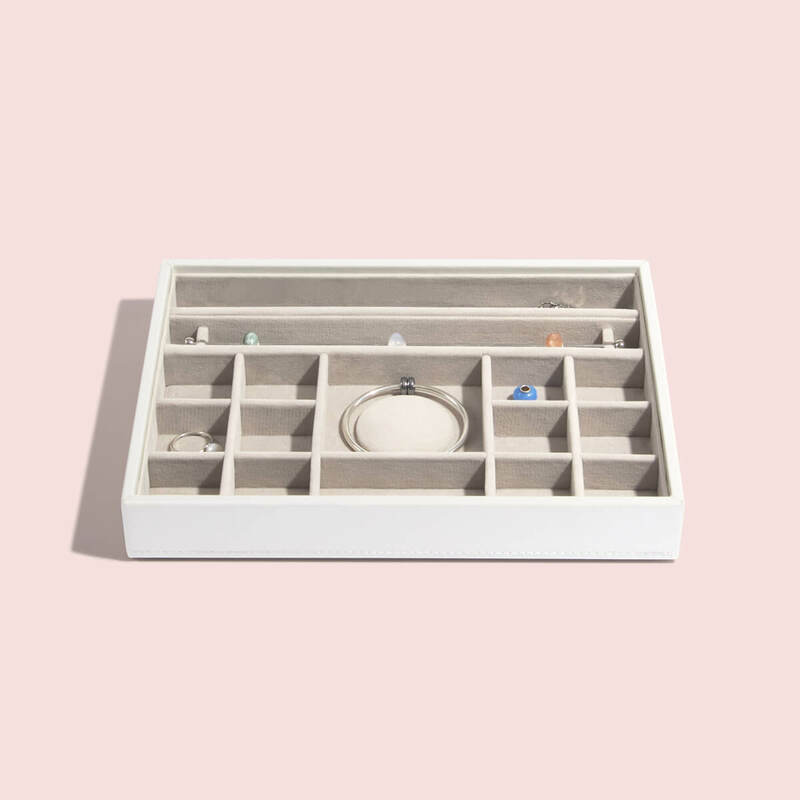 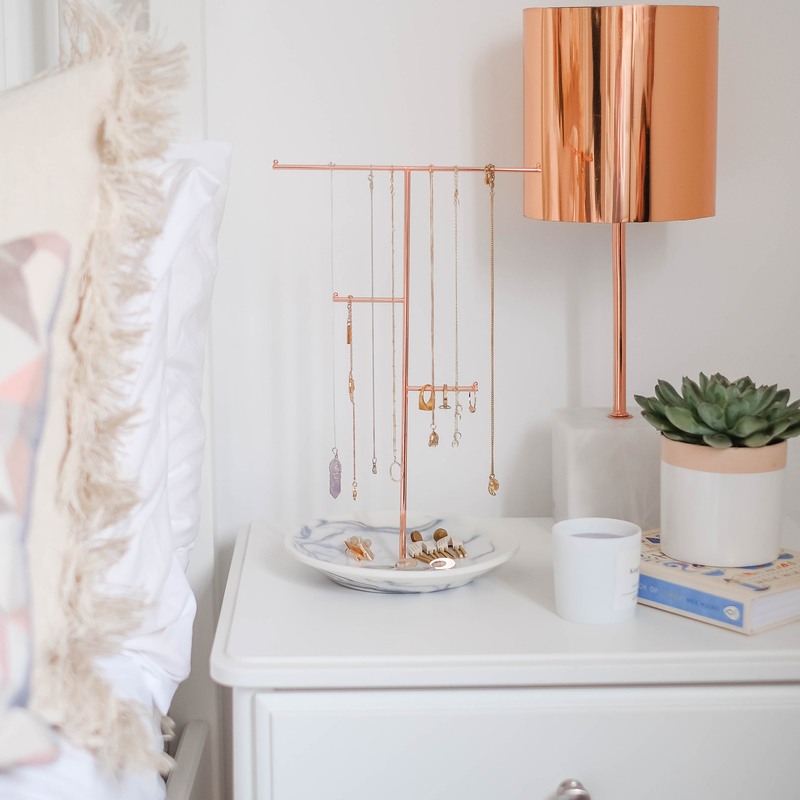 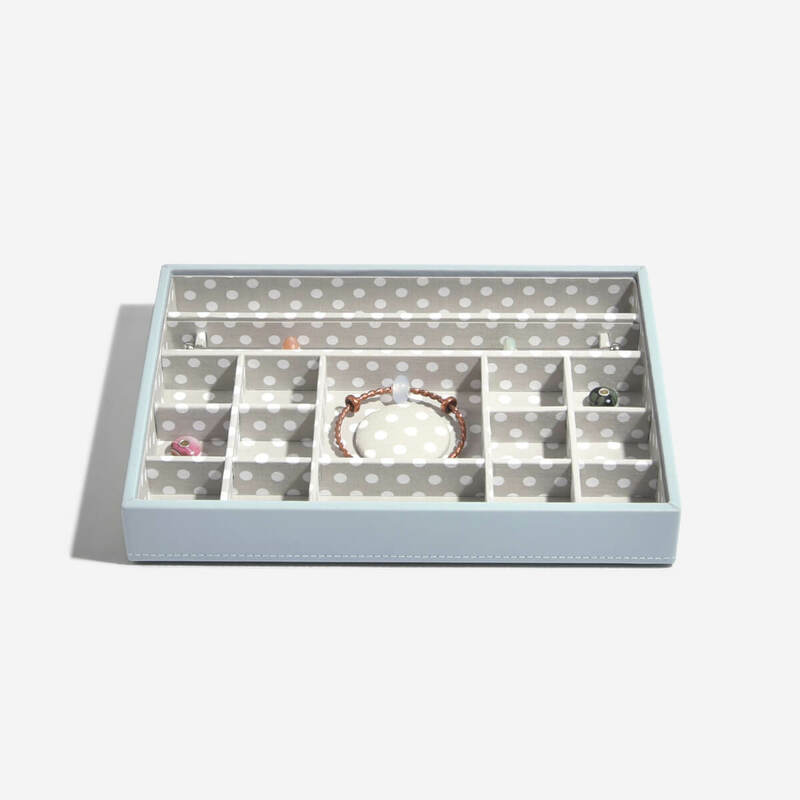 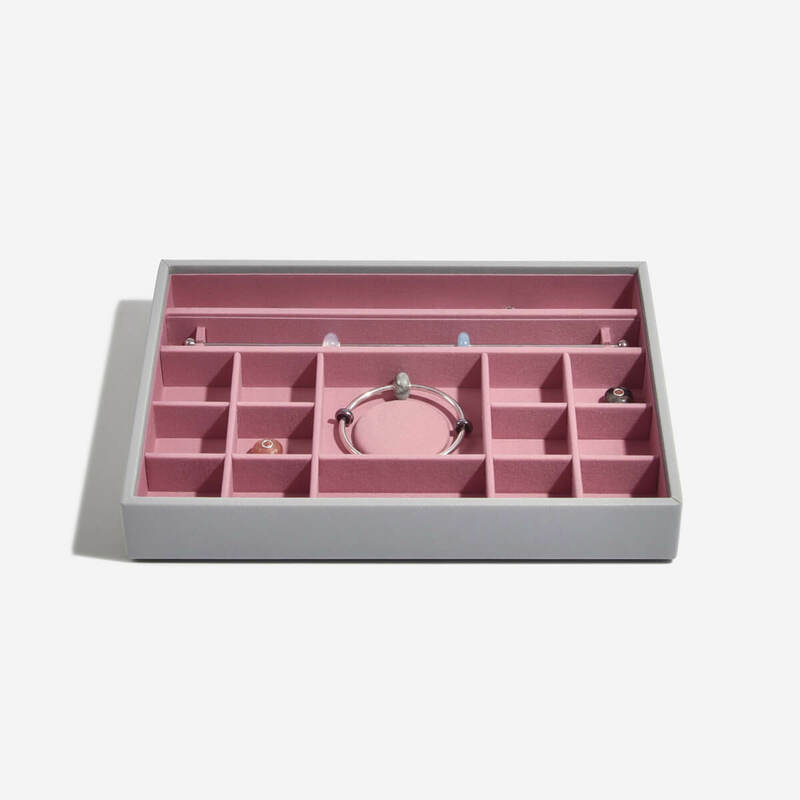 The layout includes a soft center pad to house your precious charm bracelet, as well as a large charm bar at the back to look after all of your favourite charms. 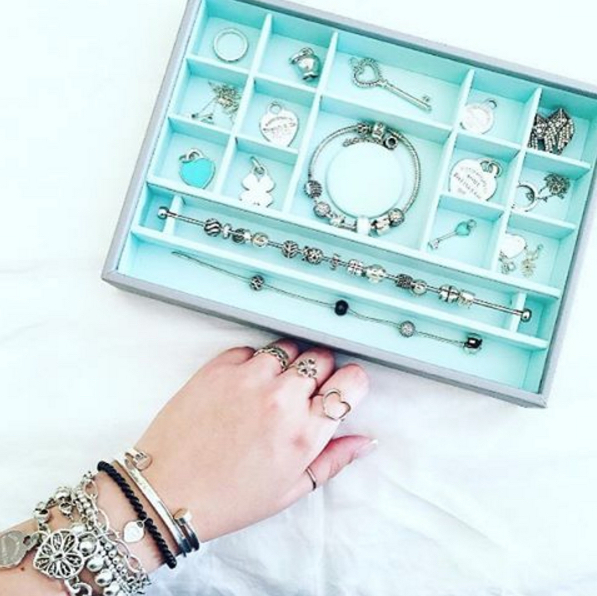 There is also space to add two extra charm bars to your stacker if you wish, plus additional cubbies to hold rings, and extra charms if your collection is particularly large!